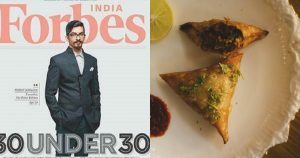 This Man Quit His Job At Google To Sell Mutton Samosas & His Company Now Has A Turnover Of Rs 50 Lakh! As everyone knows Google is the best place to work. With the unbelievable perks that everyone ever dream of, completely a job with all luxurious facilities. But here is an MBA student who chose his career path in a different way which is also unique. He decided to leave the job and became a Samosa seller. Indians love their food and we have many different varieties of cuisines based on our different cultures and backgrounds. However, these food items are often a chasm far from their authentic type, but not this one. The Bohri Kitchen in Mumbai is the face of Bohri food, run by Munaf Kapadia and his mom. The Bohri Kitchen is run by Munaf Kapadia and his mother Nafisa in the heart of Mumbai. Well, Munaf Kapadia was an MBA graduate from Narsee Monjee, was enjoying his life working at Google in 2015. However, one thing was frustrated him and that was his mother’s love for watching boring serials on television. In order to keep her busy as his mother is a great cook and knows how to cook scrumptious and different varieties of lip-smacking thaal (a platter that consists of everything from mutton samosas, nargis kebabs, dabba gosht, kaari chawal and much more), he decided to set up “The Bohri Kitchen”. And then, Munaf Kapadia quit his job at Google to open The Bohri Kitchen and sell mutton samosas and today his company has a turnover of Rs.50 lakhs. Munaf thought of introducing his ‘maa ke haath ka khana’ that was particularly enjoyed within their own community, to the world as “The Bohri Kitchen”. And, like he says, the rest is history. It has been two years now and even in such a short span of time, the restaurant has become one of the most famous dining places of Mumbai. In this restaurant, an ideal meal here will start with an assortment of starters, a massive main course delight, desserts, beverages and condiments. In a nutshell, a visit to this place will fetch you ginormous 7-course meal. 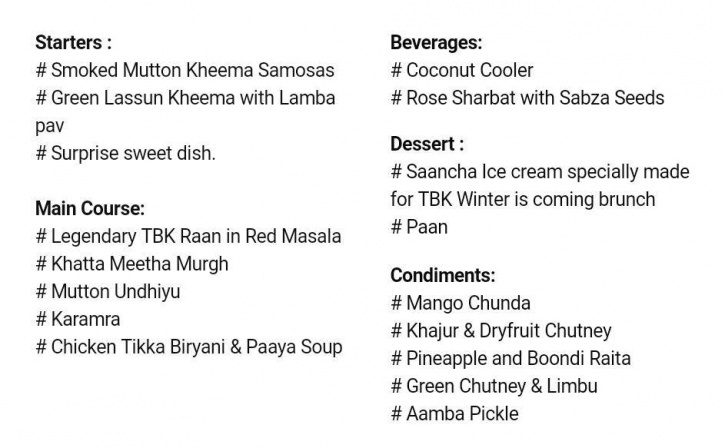 It has already been appreciated by Bollywood celebrities like Farah Khan, Rani Mukerji, Huma Qureshi and Ashutosh Gowarikar but TBK is not a restaurant where you can have your favorite meal every day. 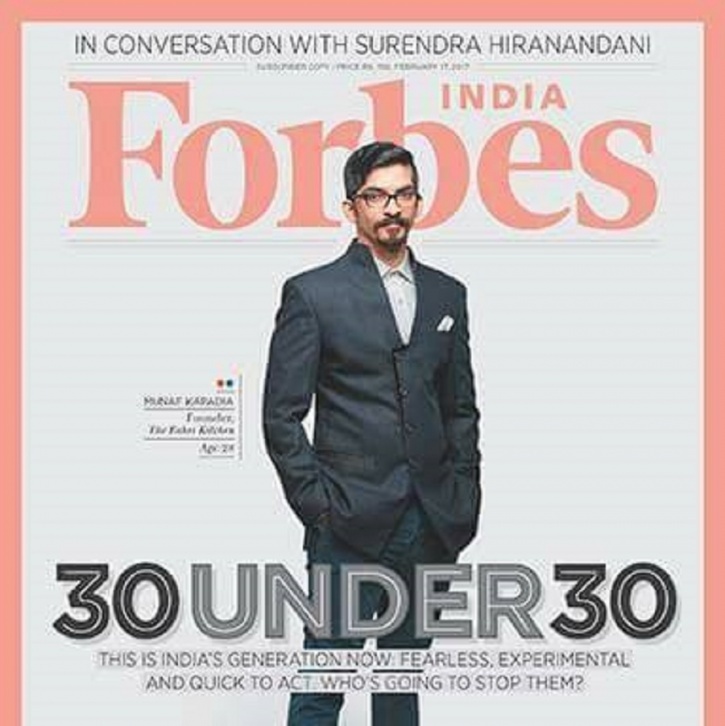 Munaf, who has already appeared in the Forbes Under 30 list, says, “I am inviting these people to my home, I need to know who they are.” Quite amazingly, his company has a turnover of Rs. 50 lakhs yearly. So if you are from Mumbai, you just can’t afford to miss the opportunity to dig your teeth in these delicacies.